OCC is a residential, commercial and cost-effective cleaning company that works for your benefit and pocket! We serve almost all the cities in Fairfax and Loudoun County. Our cleaning company is affordable and count on experienced professionals, that know how to clean your house, business, office, condominium complex etc..., from daily to monthly or even one time cleaning service we customize it to your needs. 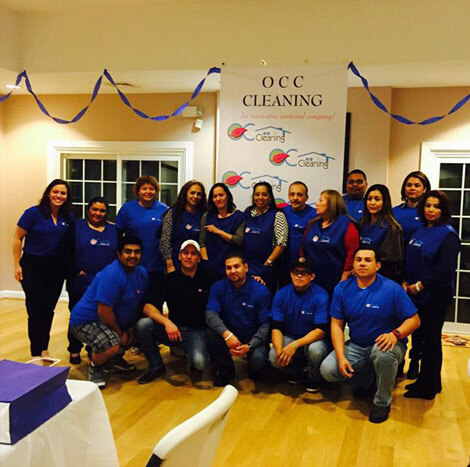 Dedicated housekeeping service, office cleaning, carpet cleaning and floor care specialists, just to name a few of many cleaning services that OCC has to offer. Also we have a customer service emergency line 24/7 for your convenience and email you can use anytime to reach us and get responded in no more than 24 hr. We are a responsive local business that understand their client needs, every situation and cleaning type is different to another so we customize every cleaning service to fit your interest. A cleaning service like ours is a valuable investment in your overall wellbeing. In fact a clean indoor environment means fewer health issues and more time to enjoy the things that matter to you the most and of course more FREE time to you.